In an unassuming neighborhood roughly 40 minutes south of San Francisco, there is a garage that appears to be part of your typical industrial park. You'd never know it by the look of it, but it's one of the last vestiges of what was once a thriving American arcade scene. Every weekend, dozens of hobbyists descend upon this location to play Super Smash Bros. Melee, Guilty Gear Xrd, and a host of obscure anime fighting games. They are there to train, to play in tournaments, or just to hang out with friends. 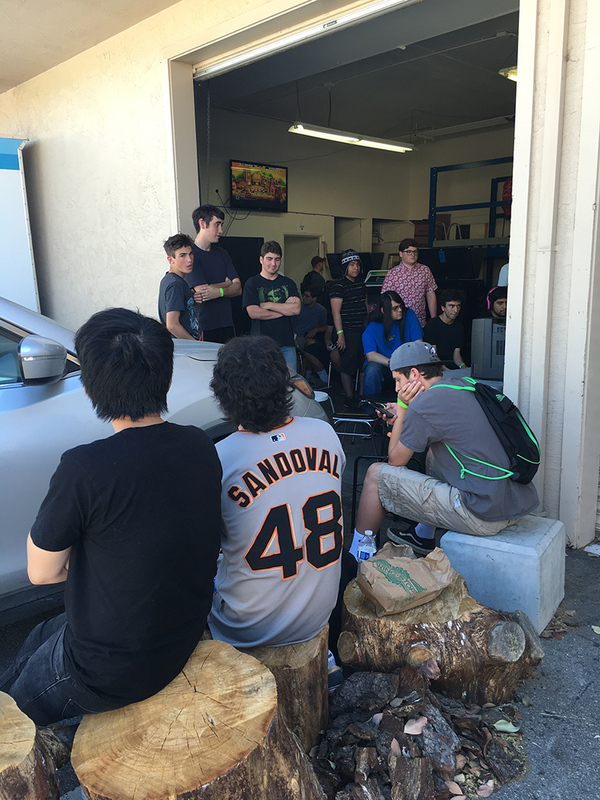 The tiny space is packed with arcade cabinets, tables hosting monitors and laptops, and players, many of whom spill out into the area outside of the garage to socialize between games. 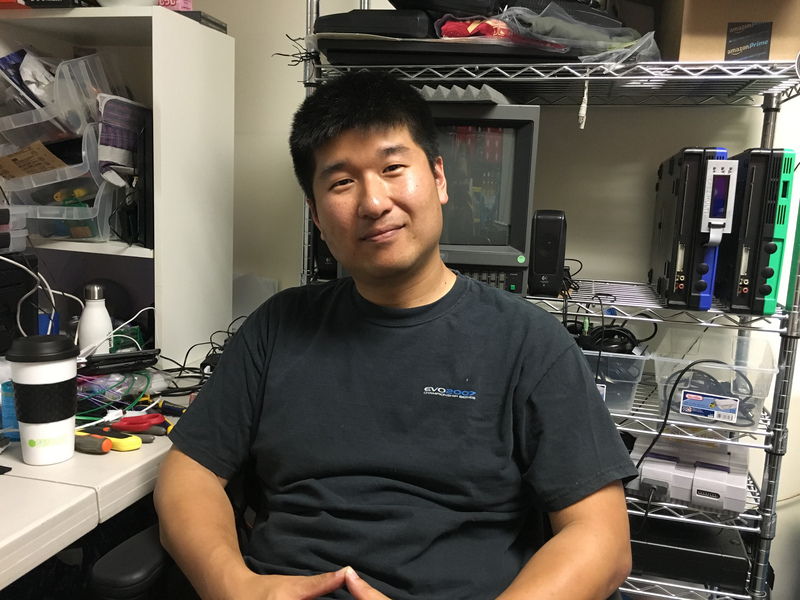 In the back office is Myung Kim, the founder of what the community has come to call Gamecenter Mk. III. By day, Kim is one of many software engineers making a living in Silicon Valley. On weekends, though, he retreats to the space he created to play games, work on side projects, and spend time with other arcade enthusiasts. What separates Kim's space from the various other "second wave" retro arcades and barcades that have cropped up around the country is that he's not looking to attract customers. Quite the opposite, actually: he'd rather keep his little slice of heaven away from the prying eyes of the public. He organizes events on a private Facebook group, declines to share his venue's location, and asks that any newcomers be vouched for by an established regular. He's not the only one, either. Having accepted that arcades as we once knew them are dead, hobbyists are renting spaces or hosting events out of their own homes in an effort to gather with like-minded enthusiasts. This is the third wave of arcade fandom: the final resting place for an American industry that has long since perished, but still has plenty of survivors. I first met Kim in early 2012, when I profiled his arcade in San Mateo. At the time, Kim was trying to run an actual business, which he maintained in the hours after his day job was finished. His spare storefront had plenty of regular customers, but not enough that he could quit his job and run it fulltime. "I was still working a day job and going at night and burning both ends of the candle, and in the end I decided I couldn't do this any more. It was personally taking way too much of a toll on me," Kim tells me as we sit together in his office. Outside, a tournament is raging, and every few minutes a player wanders in to either offer a donation or ask that the vending machines be restocked. Many of the regulars at the tournament are veterans of the original Gamecenter. Others are friends who came in later. When Kim decided to get out of the arcade business, they were the ones who convinced him to try again with a more private space. Kim's plan when he closed down the original Gamecenter was to store the games in an industrial space until he could liquidate them. But it wasn't long before he was getting Facebook message from old customers asking if they could keep playing. "I told them they could come over, we got pizza, and everything was fine. That really opened up my eyes a bit because it made me more acutely examine where I was spending my time and money and my stress at the old Gamcenter. And the bulk of it was because I didn't know who was coming in there. Because I didn't know who was coming in there, I either had to be there, or someone I trusted had to be there. Which meant either a bunch of time for me, or paying an employee to make sure people weren't messing things up. And when it's taking a lot of your time, you need much more return to make it worth it." "But if you cut those two things out, all the sudden your overall costs drastically reduce. And now, if you just pay your bills, that's alright. I end up spending a bunch of time here anyway just because I like it, but I don't have to. If I want to meet my friends for dinner on Saturday night, I can totally do that." The result is a space that works because of a certain degree of mutual trust. Every single one of the roughly 120 or so regulars at Gamecenter Mk. III understands the intrinsic value of the space; and they all know that if it were to go away, they would have nowhere else to go. In a very real sense, it's their home. "I appreciate that." Kim says, "I thank my lucky stars every week that happens." Kim's desire to maintain that level of trust and mutual respect is what has led him to avoid publicizing his events and to keep the location's address a secret. I learned of the new space in part because I stayed in touch with Kim following my first story, his original Gamecenter being one of the only venues to support the Gundam Versus series at the time. I've since kept tabs on his community as they've moved from San Mateo to San Carlos, and now to their current location. As with the original business, Kim's new space is more or less treading water. He asks for a donation from anyone who is there just to play on the machines, but tournament entries are free to encourage participation. Sometimes the income generated from the community isn't even enough to cover the rent for the space, and Kim has to dip into savings. It's fine, though, because Kim isn't looking to build a business - he's looking to foster a community. And at Gamecenter, he has one. Tagged with arcade,	fgc,	Fighting,	Profile,	Retro,	Super Smash Bros Melee,	Under Night In-Birth. Here's our guide to the various Mortal Kombat 11 Fatalities and fatality inputs, as well as detailing how to use easy Fatalities in the game. Here's how to unlock Shao Kahn in Mortal Kombat 11, who is available as both a pre-order bonus or DLC purchase.